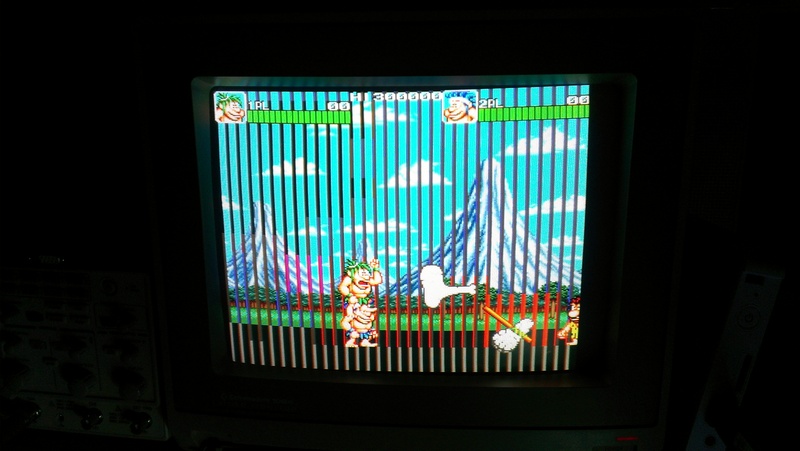 My good friend brought this round a while ago with the fault of jailbars down the screen and no sound. 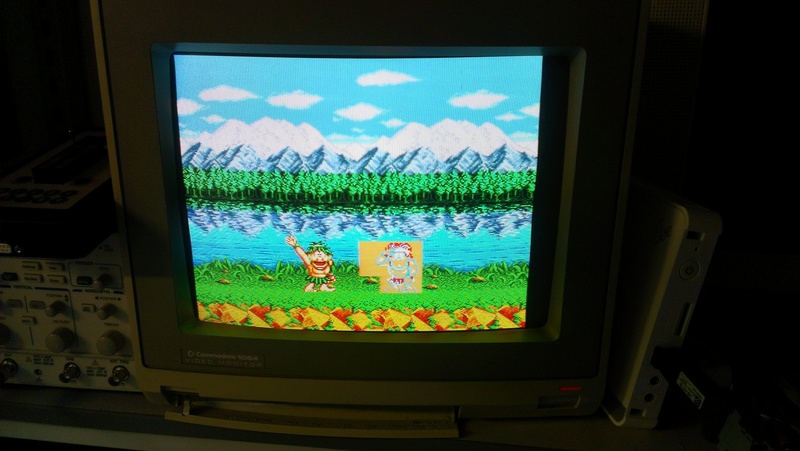 After messing around a bit we couldnt even get the game to boot on my setup no matter what we tried. He left it with me and ive been chipping away at it for a month or two now whenever I get time. Ive finally got this thing up and running. First this I found was two PLD’s, TJ-0 and TJ-1, were getting really hot. 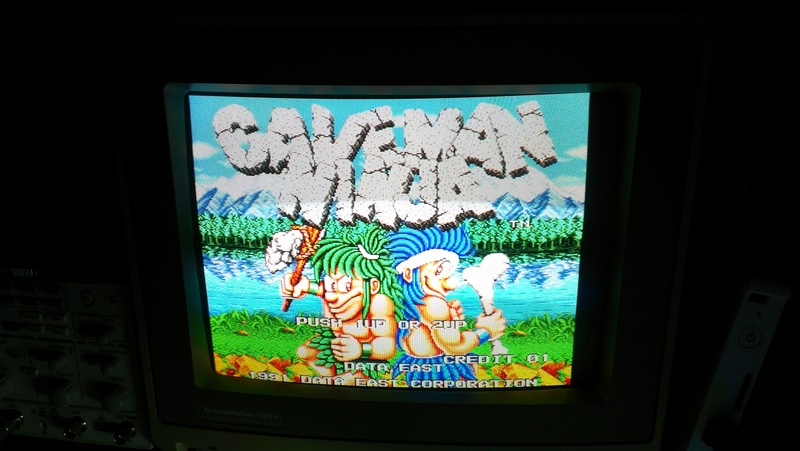 As I have a couple of spare Caveman Ninja boards I did a swap and the game booted. 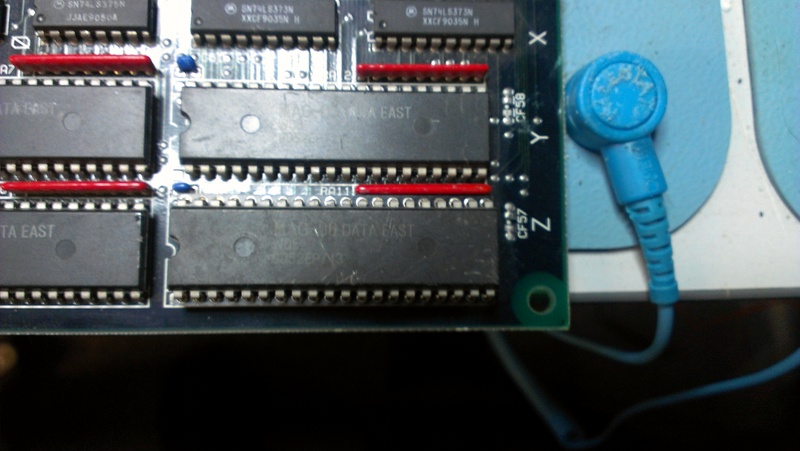 Strange thing though, those PLD’s actually work in my other semi working board. and no sound was present either. Jailbars are usually a sign of a failed ROM so off the the tile ROM’s I go. Graphics are back. Now onto the sound. 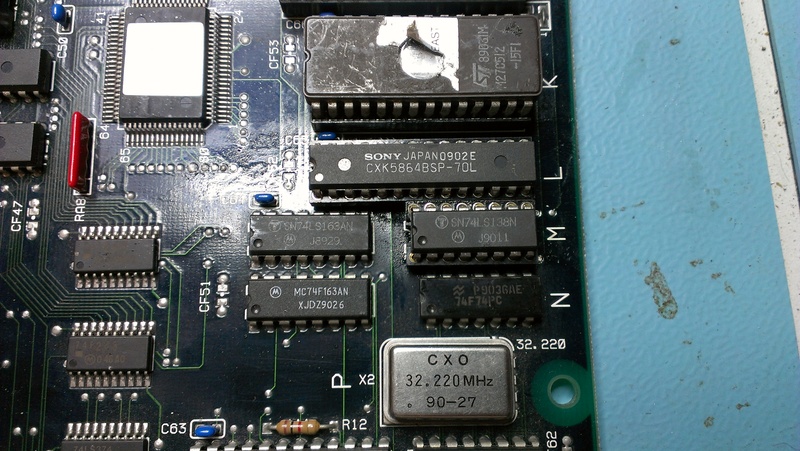 Looking first at the two OKI M6295 chips I could see neither of these were being enabled. If I pulsed the enable lines I could get various sounds to play. This tested the rest of the sound circuit so I knew it was good. I traced the enable lines back to a 74LS138 decoder which wasn’t doing a great deal despite having what looked like good inputs. I removed this and it was indeed dead so replaced with a new one. I could see the sound CPU and ROM were being addressed properly so next up was the RAM. 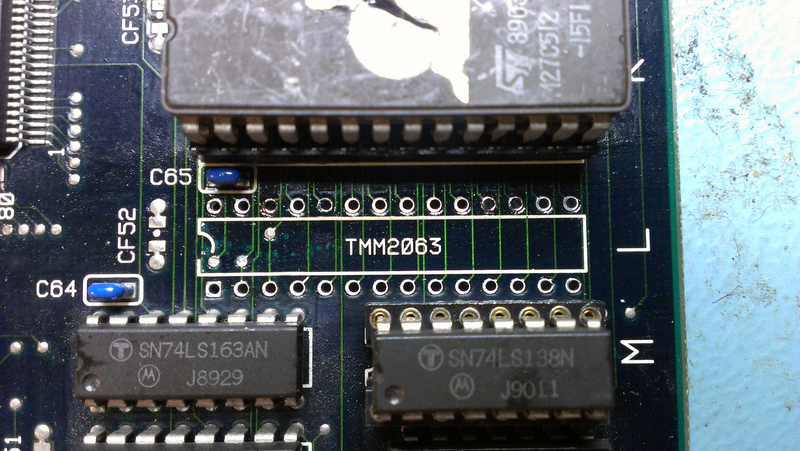 On this board it was a TMM2063 chip. I could see activity on the data lines but it was struggling to drive them up to logic HIGH so removed that and that too failed a test. 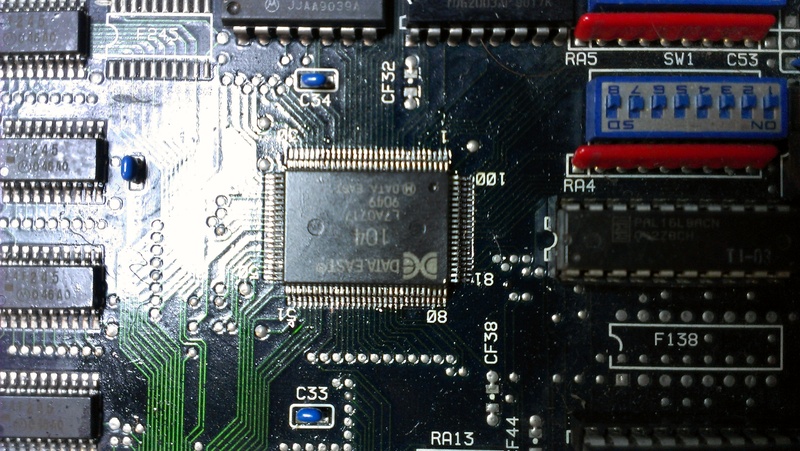 I replaced it with a CXK5864 chip. Still no sound. I started looking into how the sound section worked and found that the custom 104 protection chip is responsible for activating the sound. 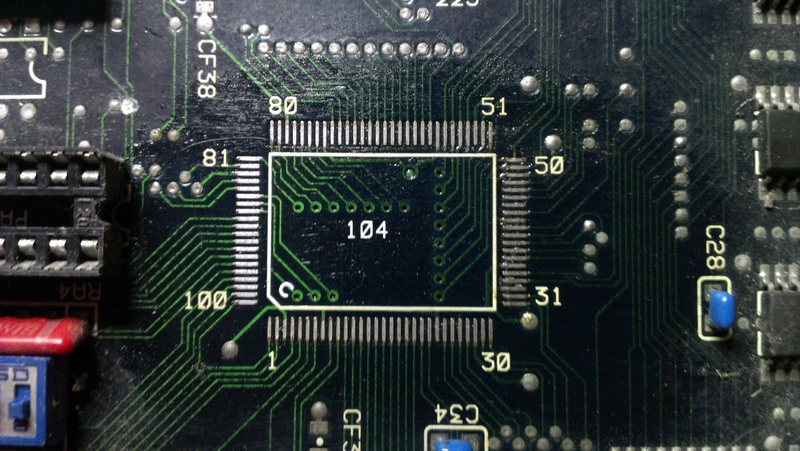 I got in touch with a guy called Bryan who wrote the MAME driver and he gave me some nice information of its operation and basically pin pointed my issue to this chip. I replaced it with one from my scrap board. WE HAVE SOUND! And thats it, or so one would think. 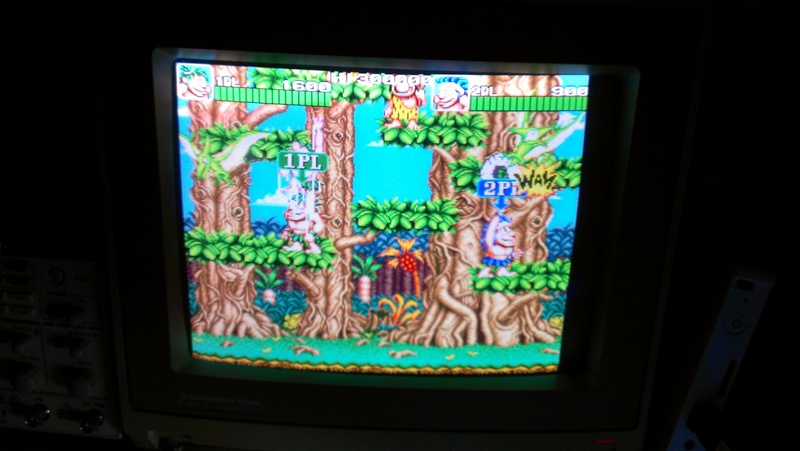 After about 2 minutes of playing this game, some of the sprites started to go a little crazy. 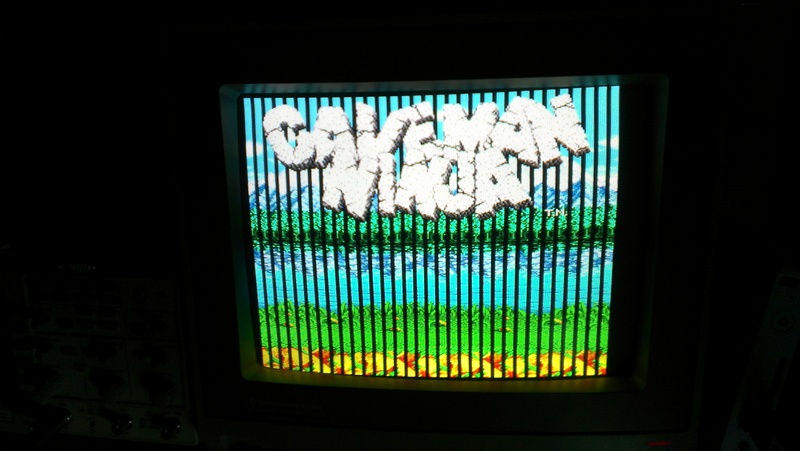 Going over the sprite ROM’s I found another one (MAG-06) with a floating data line. Replaced this with a spare and all is well once again. Without a scrap board to take customs from this would have been one for the scrap pile.